Friday started with a new and interesting activity. 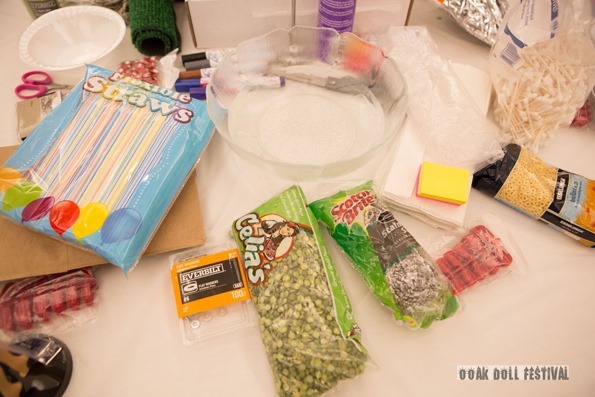 The Unconventional Materials Challenge. 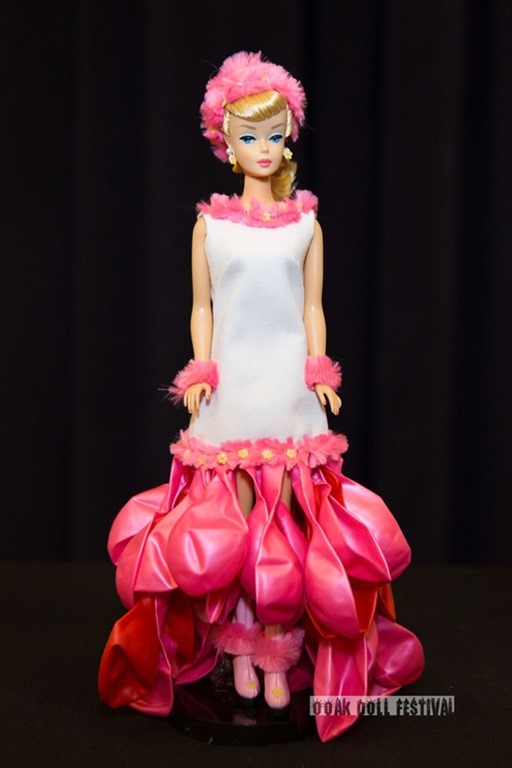 Attendees were challenged to create a OOAK dress using things you don’t normally use in couture. Think, plastic, food, paper etc.… We all started with the same basic white short sheath. We were given a couple of hours to creative a OOAK using these unconventional materials. I have to be honest…this is not in my wheelhouse but let me just tell you…this was definitely in Rogier’s wheelhouse and many other attendees. Rogier’s final creation that made it into the final! Keep reading to see how he did. Here are some more creative entries for this event. 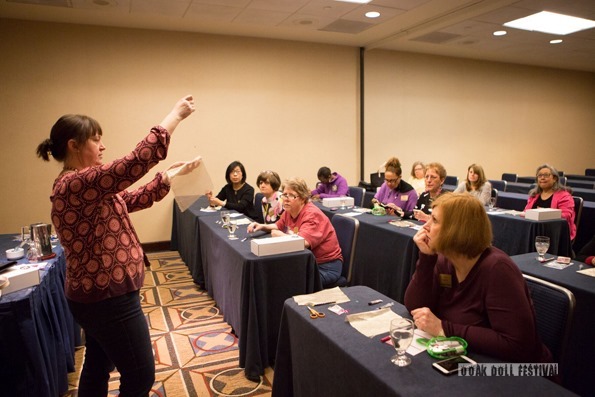 A handful of OOAK designs were chosen by a talented panel of designer judges. The final winner would be announced at dinner that night. Anticipation was high and this had to have been one of the most joyful events I have attended at a convention. As you created, you chatted and joked with your tablemates and those of other tables. It was such a fun and creative way to spend the morning with fellow collectors. It was led by the talented duo of Hilda Westervelt of Bellissima Couture and Marie Lebreton of Ninimomo. After lunch on our own, it was time to shop in the sales room! This entry was posted on February 23, 2017 by raberry65. 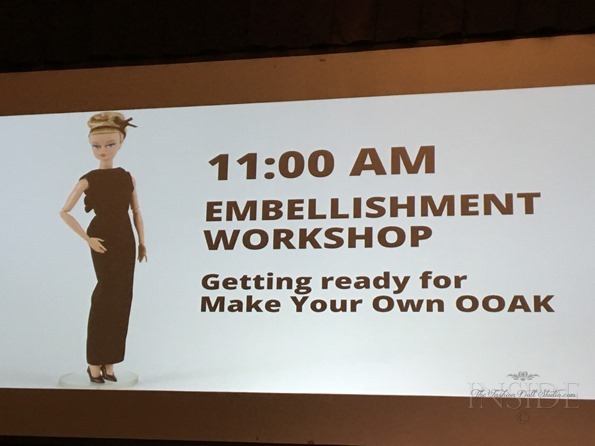 It was filed under Convention, ooak doll festival and was tagged with doll convention, doll customization, Jenny Kim, OOAK artists, ooak doll festival, unconventional material challenge. 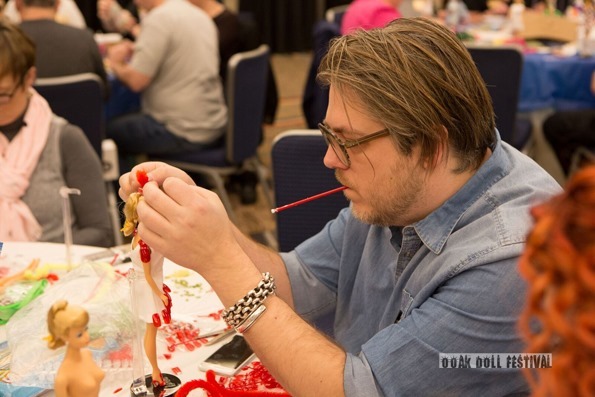 It was kind of like project runway…without the major stress I think ;-). So much creativity in that room…it was amazing.